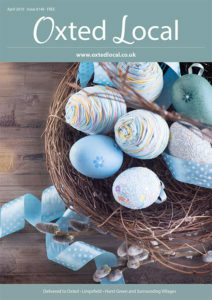 Oxted Local is THE local community magazine for Oxted and surrounding Villages. Having been in print since 2005 we have built a reputation locally for providing an interesting and varied magazine which is distributed every month. Oxted Local has a door-to-door distribution of 6,600 via Royal Mail throughout the RH8 postcode. In addition a further 600 magazines are distributed to pick up points in Oxted, Limpsfield and Godstone. These consist of pubs and cafe’s, but our main pick up point is Oxted Train Station. We consider it very important to have a correct ratio of content pages to advertiser pages in the magazine. We publish topical articles that are printed each month, such as monthly Horoscopes, Gardening advice, Technology Tips, Book Reviews, Recipes and a Health Blog. We also publish a variety of articles about local organisations, events, places to visit and local news. “I felt I must write to say thank you to your publication. Since advertising with you via the magazine and online we have seen a marked increase in the number of new members in our groups. “I have advertised in the Oxted Local for a few years now and have had many clients get in touch as a result. “As a local building company mainly focused on customers within the Oxted and Limpsfield community, we have always found advertising in the magazine extremely effective.